FIRST® Robotics Competition challenges high school students to raise funds, design a team "brand," hone teamwork skills, and build and program industrial-size robots to play a difficult field game against like-minded competitors—all while working under strict rules, limited resources, and an intense six-week time limit. NE FIRST is the operational partner of the FIRST Robotics Competition in the six New England states and is supported by ingenuityNE, a 501 (c) (3) not-for-profit public charity incorporated in the State of Connecticut. Learn more about FIRST Robotics Competition and its impact on participants. At this event, 36 teams from the New England region will compete in the Western NE District Event (Qualifying Event). It is open to the public. 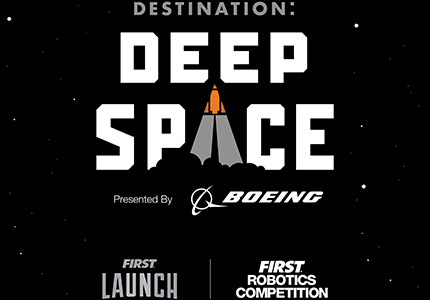 This year’s competition is Destination: Deep Space, presented by The Boeing Company. Two alliances of deep space travelers race to place hatch panels on their rockets and cargo ship, load valuable cargo for transport off the planet, and return to the safety of their habitat.